How to Get Rid of a Stuffy Nose? Stuffy nose is also known as Nasal Infection. 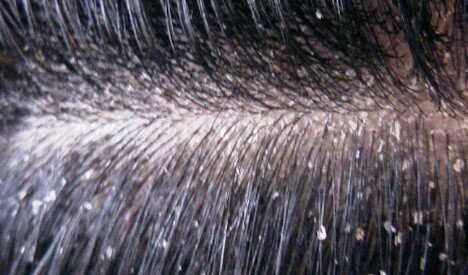 It is a very irritating and contagious problem. Most of the time it’s a symptom of some underlying medical conditions such as sinus. Cold or some kind flu can also cause you stuffy nose. A stuffy nose can make your breathing difficult. When you got an infection due to irritant or bacteria, the nervous system responded which open up the valves present in the nose. Due to open valves, more blood runs through the nose which causes swelling in your nose blood vessels and makes breathing difficult. There are so many over the counter medicines are available but you can get rid of stuffy nose instantly at home with help of natural remedy. 1.2 How Long Does a Stuffy Nose Last? Below 15 best home remedy can speed up the recovery and cure the nasal infection. One of the oldest home remedy to cure stuffy nose and sinus. It can also help you to get rid of mucus. It will help to kill bacteria and cure your breathing problem. You can consume horseradish with a sandwich. 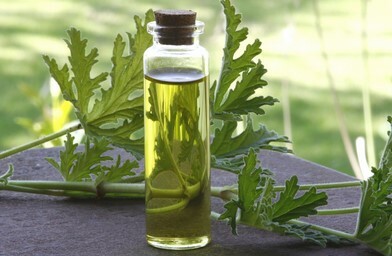 Take 1 teaspoon of horseradish, 1 teaspoon of lemon juice, and one a teaspoon of olive oil. Blend them well and eat with a cracker. 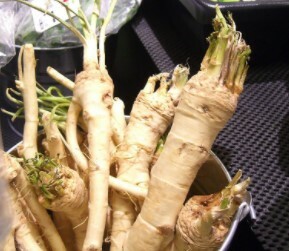 Alternative you can also add grated horseradish root to your food like rice or mashed potato. 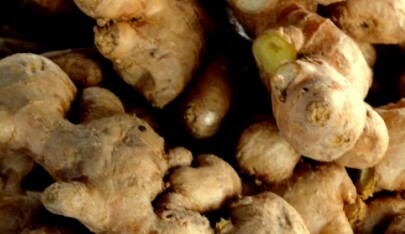 Due to anti-inflammatory ginger is a good home remedy to cure stuffy nose. Ginger tea also helps to get rid of nasal congestion. To make ginger compass you need to take a 4-5 slice of ginger root. Add them in 2 cups of boiling water and boil them for 20 minutes on slow heat. Now you need a washcloth and soak it in ginger water when it comes to room temperature. Apply this mixture on your face and head 2-3 times in a day. 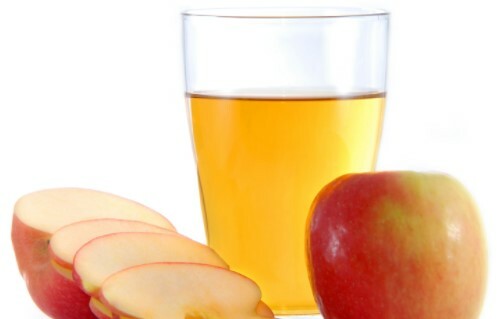 Apple cider vinegar is a good home remedy to get rid stuffy nose at night. It contains a high amount of potassium which helps to clear mucus. Acidic nature of ACV kills the bacteria and cure stuffy nose fast. Take half a cup of raw ACV and half cup of water. Mix them well and boil this mixture for 1 minute. Inhale the steam of this mixture with closed mouth and eyes. Cover your head with a towel while inhaling. Do this remedy twice in a day for a couple of days. You can do this remedy before going to bed to get rid of the stuffy nose at night. You can also make a syrup of ACV, honey, and water for a blocked nose. Take 2 tablespoons of raw ACV, 1 tablespoon of honey and a cup of lukewarm water. Drink this syrup two times in a day. Another very effective natural herb to cure nasal congestion and Breathing problem. Due to its antioxidant properties basil help to reduce swelling in blood vessels presents in nasal passages. Take 5-6 fresh basil leaves and add into boiling water. Cover the cup with lid and let steep for 10-15 minutes. Strain and add one tablespoon of honey to it. Drink this remedy 2 times in a day until you get rid of stuffy nose. 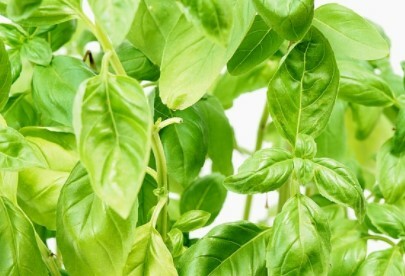 You can also chew few leaves of basil before going to bed and early in the morning. Chewing basil leaves at night will help to get rid of a blocked nose in bed. 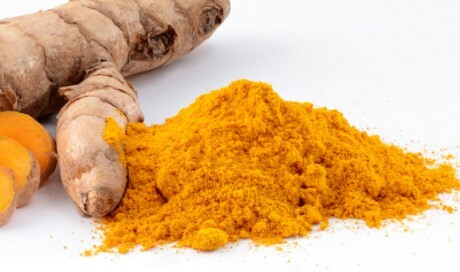 One of the best ways to unclog your nose is turmeric homemade remedy. It has antibacterial and anti-inflammatory properties that help to clear a blocked nose and cure nasal congestion. Take one cup of milk and add one teaspoon of turmeric. Boil a cup of milk for 5 minutes and add one teaspoon of honey after boiling. Drink this turmeric milk at room temperature. Do this remedy twice in a day. Mix 2 teaspoon juice of turmeric, one teaspoon of honey and one teaspoon of turmeric. You can also add a pinch of cayenne pepper. Drink this mixture twice in a day. 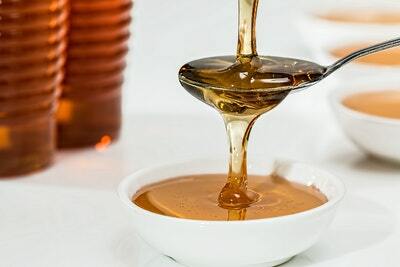 Honey is an effective home remedy for stuffy nose due to its antibacterial and anti-inflammatory properties. It also helps to reduce swelling in the blood vessels presents in the nasal passage. Take two tablespoons of honey and mix with warm water. Drink this mixture twice in a day. Once in the early and once before going to bed. Do this remedy until you get relief from stuffy nose. You can also mix honey with lukewarm milk and drink twice in a day. Eucalyptus oil is well known for killing bacteria due to its antibacterial properties. Inhaling eucalyptus oil can also kill bacteria causes’ stuffy nose and thin mucus which blocking it. Boil one liter of water in a pan and add 5 drops of eucalyptus oil in it. Lean your head over the pan and cover your head and pan with a towel. Inhale eucalyptus steam for 10-15 minutes. You can do this remedy 3 times a day. If you have a stuffy nose at night do this home remedy to get instant relief. Another wonderful home remedy for a blocked nose. Garlic has antibiotic, antifungal and antibacterial properties, which makes it an effective remedy to treat nasal infection and open up the blocked nose. 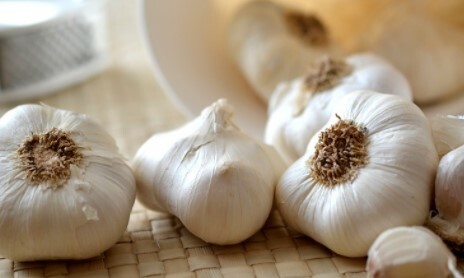 Take 2-3 cloves of garlic and consume two times in a day to get rid of stuffy nose. It is an instant way to get relief from a stuffy nose. You can also add garlic clove in the soup for stuffy nose relief. Tomato contains vitamin C which helps to cure sinus and open up a stuffy nose. It also improves your immunity system and helps to get rid of mucus. Take one glass fresh juice of tomato, one tablespoon of fresh garlic juice or chopped garlic, half tablespoon of hot sauce, 1 teaspoon of lemon juice. You can also add a pinch of salt to it. Mix all ingredients well and put in microwave for 2 minutes. Do not boil it just let it reach the boiling point. Let it cool down and drink it while tomato juice is warm. 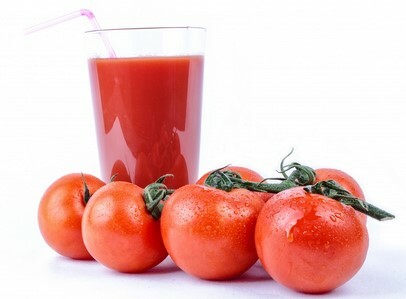 Drink this tomato juice home remedy two times in a day. Neti pot is one of the best ways to clear blocked nose and nasal congestion. It is a specially designed pot for clearing the nasal passage and flush out the mucus. It gives you instant relief in the stuffy nose. Take a glass of warm sterile water and mix one tablespoon of salt. Now take neti pot and pour the warm salted water in it. Tilt your head a little and put the spout of the neti pot on your nostril. Now tilt your pot in a way so that water can enter the nasal passage from one nostril and come out from another nostril. You can repeat the same from another side. Do this remedy with sterile water only twice in a day to get rid of stuffy nose quickly. 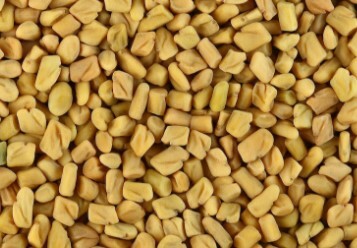 Fenugreek seeds are a good remedy to flush mucus and gives you quick relief from stuffy nose. It also helps to cure sinus. Blend some fenugreek seeds in drinking water. Now boil this water for few minutes and let it cool down. Strain this mixture and drink while it is warm. Do this remedy 2-3 times in a day for fast relief from stuffy nose. Warm compress is very effective in clearing a blocked nose due to mucus. It makes mucus thin and unblocks nose instantly. Take a bowl full of warm water and soak a cotton cloth or small towel in it. Then take it out and squeeze out the water from the towel. Now put a towel on your nose and forehead for few minutes. Keep doing this warm compress for 10 minutes. Another wonderful home remedy for stuffy nose cure. It helps to make mucus thin and clear blocked nose due to its decongestant properties. 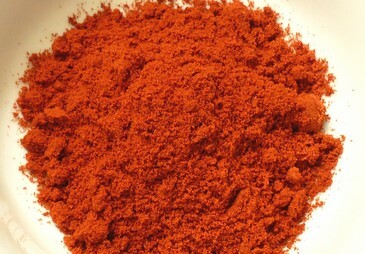 Cayenne pepper contains capsaicin which helps to get rid of inflammation and swelling in the nasal passage. Take a cotton ball and dip in cayenne pepper. Now take cotton ball near to your nose and take a breath in. it will stimulate sneezing and helps to unblock a stuffy You may feel inflammation in nose initially but it will go away in few minutes. Take ½ teaspoon of pepper and mix with 1 teaspoon of honey. Consume this mixture to get rid of stuffy nose. Take a pot, ¼ cup of lemon juice and raw apple cider vinegar. Now pour vinegar and lemon juice in a pot and let it simmer for few minutes. Add ¼ teaspoon of cayenne pepper and ½ teaspoon of ginger powder in ACV and lemon mixture. Also, add 3 tablespoons of raw honey. Mix all the ingredient well in a pot. Now take 1 tablespoon of this mixture twice in a day until you get relief from Stuffy Nose. Peppermint is very effective ayurvedic medicine to cure stuffy nose at home fast. It contains menthol which makes breathing easy. You can add few drops of peppermint in boiling water and inhale the steam to get rid of stuffy nose. You can also inhale its aroma directly by putting a few drops of peppermint on your handkerchief. Take 2 teaspoons of coconut oil and mix with few drops of peppermint. Now rub this mixture on your nose for fast relief from blocked nose. If you are looking for an instant relief remedy for stuffy nose then steam inhalation is one of the best remedies for instant relief. You can also add natural herb or essential oil to the water. It helps to thin mucus and clear nasal passenger and also provide relief from sinus. Boil some water in a pan and stop the stove. Then cover your head with a towel and lean on the pan. Inhale the steam for 3-4 minutes. Do this remedy 2 times in a day for quick relief. You can also add peppermint drops or eucalyptus essential oil to the water. A stuffy nose can last from 1 to 7 days which depend on causes. If your nose is blocked due to common cold it will last 1-2 days. Stuffy nose caused by allergy can last 2-7 days. 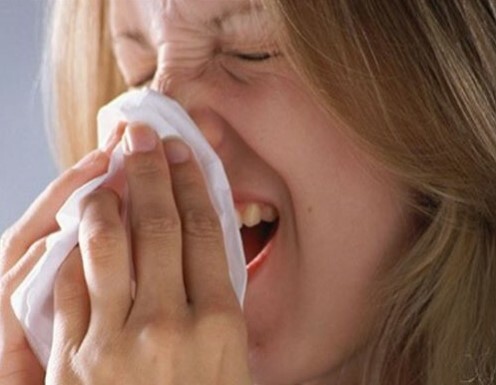 To get fast relief & get rid of stuffy nose you can use the above natural home remedy.